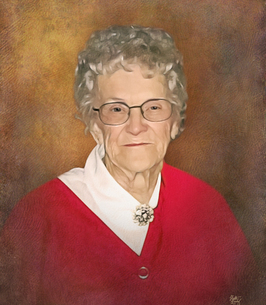 Mrs. Betty Jean (Chase) Hufford, age 93, of Patriot, Indiana, entered this life on September 17, 1925, in Patriot, Indiana, the daughter of the late, Dilver and Mary (Brady) Chase. She was raised in Patriot, Indiana and then later moved to Ohio County, Indiana, where she was a 1944 graduate of the Rising Sun High School, where she was voted the most valuable varsity basketball player. Betty was united in marriage to Lloyd I. Rush and to this union arrived a daughter, Deborah and three sons, Donald, James and Gary to bless their home. Betty was later united in marriage on July 10, 1966 at the Pleasant Ridge Church of Christ to Walter Kenneth Hufford. Betty and Walter shared 32 years of marriage together until he passed away on July 31, 1998. Betty was employed as a CNA for the Rising Sun Care Center in Rising Sun, Indiana, for 10 years. Betty was employed as a CNA for the Jennings County Extended Care Facility, retiring in 2003, after 11 years of service. She was awarded the CNA of the year award in 2001. Betty was a member of the Concord Community Church in Patriot, Indiana. She will be remembered for her love of working in the yard and her flowers. Betty was a sports nut and was a fan of the Pacer's basketball, Indiana University basketball, University of Cincinnati basketball and the Indianapolis Colts. She enjoyed The Sewing Circle Concordia Ladies Group where she wrote letters to World War II veterans and those that were serving in the current wars. Betty will be dearly missed by her loving family and friends. Betty passed away at 12:39 p.m., Wednesday, October 17, 2018, at the Highpoint Health in Lawrenceburg, Indiana. Betty is survived by her children, Deborah E. (Rush) Powers, James Rush and Gary Rush all of Patriot, Indiana; her grandchildren, Mike Powers, Carrie Ann Powers and Amy Wright; her great-grandchildren, Christopher Powers, Brayden Powers, Kyler James Powers, Jenna Wright and Savannah Wright; her nieces, Connie Tucker, Christine Patton, Teresa Durbin, Cyndi Limeberry, Rhonda Chase and Bonnie Richardson and her nephew, Jerry Chase. She was preceded in death by her parents, Dilver and Mary (Brady) Chase; her 1st husband, Lloyd I. Rush, died June 27, 1986; her 2nd husband, Walter Kenneth Hufford, died July 31, 1998; her son, Donald L. Rush, died April 10, 2003; her son-in-law, Marvin Kent Powers, died April 14, 2016 and her brothers, Dilver Chase, Jr. and Brady Chase. Funeral services will be conducted Monday, October 22, 2018, at 1:00 p.m., by Rev. Steve Ward at the Haskell & Morrison Funeral Home, 208 Ferry Street Vevay, Indiana 47043. Interment will follow in the Concord Cemetery, Patriot, Indiana. Friends may call 11:00 a.m. - 1:00 p.m., Monday, October 22, 2018, at the Haskell & Morrison Funeral Home, 208 Ferry Street Vevay, Indiana 47043. To send flowers to the family of Betty Jean Hufford (Chase), please visit our Heartfelt Sympathies Store.